Do you mostly use Mainstream Medicine or Alternative Medicine for your health? We put that question to members of our Underground Knowledge discussion group on Goodreads.com – and results to date show that many see merit in combining the two. Interim poll results show that 36% of respondents mostly use mainstream medicine for their health; 35% use both mainstream and alternative; and 29% mostly use alternative medicine. For clarity sake, we define mainstream medicine as a system in which medical doctors and other healthcare professionals (such as nurses, pharmacists, and therapists) treat symptoms and diseases using drugs, radiation, or surgery. Also called allopathic medicine, orthodox medicine, and Western medicine. We define alternative medicine, also known as Complementary Medicine, as natural or traditional or native remedies. We also list the following examples of well-known alternative therapies: Acupressure, Acupuncture, Ayurvedic Medicine (more than 5,000 years old), Biofeedback, Bach Flower Remedies, Colon Therapy/Colonics, Chinese (Oriental) Medicine, Chiropractic, Osteopathy, Cupping (ancient Chinese medical technique), Craniosacral Therapy, Ear Candling, Electropathy, Fasting Therapy, Herbalism (one of most popular health systems worldwide), Hydrotherapy, Iridology, Magnetotherapy, Massage Therapy, Naturopathic Medicine, Vitamin Therapy, Yoga. I mostly use alternative medicine but use all medical systems (including Western medicine), although avoid Big Pharma’s drugs like the plague and would only agree to surgery as a last resort. The confusion about alternative medicine is that this one is efficient in certain areas and problems, but it is hard to identify the real cause of the healing when the healing process involves many substances, rituals, dancings, or massages in certain areas combined. And when you do not know the causes or how the system works, it is easy to invent and believe that there are chakras, body energies, magnetism and all sort of crap. I’m not quite sure why we have to be fully for one or the other… Can we really make a decision or judgment based on such a vague premise? Much of Western medicine is great and much is not… the same goes for alternative medicine. It is impossible to stand for the entire array of medicine produced by western medicine or by the alternative route. Ironically, when someone will explain exactly how certain alternative medicine methods work, these will no longer be “alternative”, but “mainstream” (scientific). Until then, those who use alternative medicine are nothing more than voluntary guinea pigs. …need to include the fact that what is often being called “science” to support a fair percentage of Western medicine is of course biased research funded by Big Pharma that aims for a specific outcome. And some of it is even anti-science in that it is not open to all possibilities (e.g. research that reveals this patented drug is not the best way to treat a specific illness will often be thrown out). I wouldn’t personally say all elements of mainstream medicine must be scientifically proven. There’s lots of evidence of peer reviewed medical journals throwing out some studies and favoring others that fit their agenda. Pharma funds studies and makes sure the methods of testing and collecting evidence are biased. So sometimes science is proven and other times it’s fake science propping up medicines and practices. Each time in my life that I have been laid low and very ill it has been the alternative medicines / therapies which have given me back my life. I have gone to them out of frustration about our standard treatments. In our book MEDICAL INDUSTRIAL COMPLEX: The $ickness Industry, Big Pharma and Suppressed Cures, we remind readers that hospitals can be dangerous places. We draw attention to this disturbing state of affairs in a chapter titled “Medical tests you may not need and procedures that may kill you.” (See our blog of December 28). And we refer to an article the Huffington Post ran on April 3, 2013. Quoting the Institute of Medicine, it reports, “100,000 people die every year due to medical error — more deaths than from car accidents, diabetes, and pneumonia. Far more patients are victims of medical error”. The report also quotes “a stunning” 2011 Health Affairs article in which researchers apparently discovered that medical errors occurred in one-third of all hospitalized patients. “A separate study of Medicare patients found that one in seven people in the hospital experience at least one unintended harm”. The Huffington Post report identifies the following as “the 10 common medical errors that can occur in the hospital”: Misdiagnosis, unnecessary treatment, unnecessary tests and deadly procedures, medication mistakes, ‘never events’ (events that should never happen), uncoordinated care, infections (from hospital to patient), not-so-accidental ‘accidents,’ missed warning signs and premature discharge (from hospital). 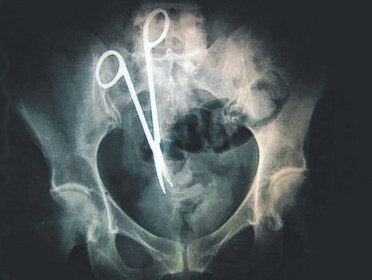 According to the report, misdiagnosis is the most common type of medical error in a hospital; $700 billion is spent every year on unnecessary tests and treatments; medication mistakes affect 1.5 million Americans annually; ‘never events’ (such as scissors being left in patients’ bodies) happen all too often; hospital-acquired infections, according to the Centers for Disease Control, affect 1.7 million people annually and cause nearly 100,000 deaths every year; and malfunctioning medical devices cause tens of thousands of “accidents” in hospitals every year. Choosing Wisely, that worthy medical initiative referred to earlier, reports that “three out of four US physicians say the frequency with which doctors order unnecessary medical tests and procedures is a serious problem for America’s health care system—but just as many say that the average physician orders unnecessary medical tests and procedures at least once a week”. If that admission (by US physicians) has been accurately reported – as appears to be the case given Choosing Wisely’s impressive credentials and reputation for accuracy – then that raises alarm bells. We suspect the estimates are very conservative and the actual incidence of doctors going overboard on medical tests is even higher. Possibly much higher. In MEDICAL INDUSTRIAL COMPLEX: The $ickness Industry, Big Pharma and Suppressed Cures, we focus on alternative methods for treating cancer – natural healing methods which do not involve mainstream medicine’s patented (and highly profitable) chemo and radiation therapies. One who believes olive leaf extract can fight or even prevent cancer is a UK gentleman who is a member of our ‘Underground Knowledge’ discussion group on Goodreads.com. He speaks from some experience as he claims he battled back to full fitness after being hospitalized for four months with a rare condition. He’s convinced his recovery was down to olive leaf extract, which he took in conjunction with hemp oil and Vitamin D.
Our own investigation into the merits of using olive leaf extract to combat cancer proved productive. Among the many papers published on the subject, a report by health writer Danica Collins on the UndergroundHealthReporter.com site claims that “The phytochemical known as oleuropein found in olive leaf extract has been shown to eliminate cancer tumors in 9 to 12 days”. Collins says, “It’s no wonder that people who live in the Mediterranean area — who consume 20 times more olive oil than Americans — have half the incidences of cancer than the U.S. Both the olive leaf and olive fruit have active polyphenol properties, but in the processing of the fruit and oil, many are removed. “Even so, olive oil contains enough polyphenols that deliver many healthful benefits. It is the olive leaf, however, that is prized for its anti-tumor, anti-microbial and anti-viral properties. And it’s not just cancer that olive leaf extract has been shown to treat successfully”. She concludes, “Clinical tests conducted by the New York University School of Medicine showed that olive leaf extract is able to change the pathways of HIV-type infections as well, and may even reverse these conditions”. Collins also refers to a book titled Olive Leaf Extract, by Dr. Morton Walker who, she says, recommends using olive leaf extract for its miraculous effects on more than 125 infectious and chronic diseases. (We couldn’t obtain a copy of this book before our own book went to press, but it sounds interesting). The health benefits of olive leaf extract are also extoled in an article published by Fox News on January 23, 2013. It confirms that “Olive leaf is an especially good source of the anti-cancer compounds apigenin and luteolin, and is a source of the anti-malarial agent cinchonine. And oleuropein has also shown protective capabilities against breast cancer”. The article continues, “Olive leaf extract also acts as an anti-inflammatory. Like oxidation, inflammation is a key factor in chronic and degenerative diseases. Animal studies additionally suggest that olive leaf extract may protect against nerve damage, and may be of value in cases of stroke”. The popular science-based natural health advocacy organization Natural News, led by activist-turned-scientist Mike Adams, lists on its website “The top seven natural cures for cancer that got buried by the FDA, AMA, CDC.” Detailed case studies supporting each “cure” are included in an article dated October 24, 2013 on the organization’s NaturalNews.com site. One of the above-mentioned case studies in particular is worth highlighting. It involves the alleged payoff of a cancer researcher to cease work on natural cures and retire in Mexico. According to the article, the researcher, one Raymond Rife, “discovered the most promising cure for curing ‘hopeless’ cancer cases.” He also designed and developed cutting edge microscopes and helium plasma lamps to support his research. No surprises Rife was resented by Big Pharma and Western medicine elitists in the medical community. “The AMA (American Medical Association) visits all doctors involved with Rife warning them: ‘Those who don’t stop using the Frequency Instruments lose their medical license.’ Doctors immediately turn in their Rife Machines for fear of indictment”. And (the following year) “the AMA pays (Rife’s associate Dr. Arthur) Kendall over $200,000 to stop working on cancer cures and retire in Mexico”. Dr. Kendall, incidentally, reportedly died of “unknown causes” five years later, and two years after that, according to the same article, Rife “turns to alcohol, eventually needing rehabilitation”. The list of other supposed cancer cures said to have been suppressed is long enough to fill a whole book. These range from Cannabidiol, the little-known medical compound found in Marijuana, to a treatment that involves ingesting nothing other than regular household baking soda. In 2009 Hollywood celebrity and cancer survivor Suzanne Somers wrote about natural cancer cures in her book Knockout: Interviews with Doctors Who Are Curing Cancer and How To Prevent Getting it in the First Place. Knockout also outlines an array of effective, alternative treatment options from doctors all over the United States. Treatments that do not involve chemotherapy or radiation and which primarily focus on building up the immune system. The book’s synopsis also mentions the “stunning testimonials from inspirational survivors using alternative treatments”. In a 2010 interview she gave on News Max TV, Somers spoke about her personal experience beating cancer and the wider research she conducted on alternative cures while writing Knockout. The other way, of course, includes alternative, natural healing methods which do not involve the Medical Industrial Complex’s patented (and highly profitable) chemo and radiation therapies. In our book MEDICAL INDUSTRIAL COMPLEX: The $ickness Industry, Big Pharma and Suppressed Cures, we emphasise that mainstream medicine should not be so quick to dismiss claims of alternative treatments and cures for cancer. The American Cancer Society is even more conservative in its stance on alternative cancer treatments. AMC’s website states that complementary or alternative cancer therapies are harder to evaluate than mainstream treatment. AMC states, “One big concern is that, with alternative treatments, the delay in mainstream treatment can allow the cancer to grow and spread to other parts of the body. Another is that some complementary and alternative therapies have been reported to cause serious problems or even deaths. Even so, most of these problems are not reported to the FDA by the patient or family, so no one else hears about them. “We do know that certain vitamins and minerals can increase the risk of cancer or other illnesses, especially if too much is taken. But when it happens to one person, it is very easy to miss any link between the illness and the supplement. Large groups of people must be studied to find out about a small increase in risk”. “When scientific studies are not done, it is hard to tell what is caused by the illness and what is caused by the treatment. Herbal treatments that are given for illnesses that go away on their own may be given credit for curing the person. Or the treatment might make the person feel better for a short time but have no effect in the long run”. All good points, but it doesn’t remotely change the cold, hard fact that cancer patients working within the mainstream medical system continue to succumb to the deadly disease in frightening and ever-increasing numbers. Or that no cure for cancer appears to be on the horizon within mainstream Western medicine. What follows is a sample of alternative cancer cure theories we’ve unearthed as a result of conducting our own research. 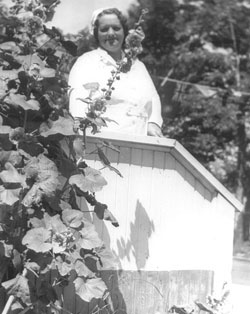 In the 1920’s, Canadian nurse Rene Caisse developed a natural concoction of herbs called Essiac. Nurse Caisse claimed it could cure cancer and she garnered many testimonials from satisfied patients said to be cancer-free after taking the product. Laboratory tests did not confirm Essiac offered any benefits whatsoever, but conspiracy theorists argue the lab tests were rigged and that Big Pharma flexed its muscle to shut Caisse down. In the 1940’s, German-born American physician Max Gerson (1881-1959) developed a nutrition-based cancer treatment called Gerson Therapy. After repeatedly claiming his therapy cured cancer, Doctor Gerson had his medical license suspended and he died while still under suspension. Although now a maligned and mostly forgotten cancer treatment in America, it remains popular in Mexico where there are Gerson clinics in operation, treating local and foreign cancer patients. In the 1950’s, American coal miner Harry Hoxsey promoted his family’s century-old herbal recipe, which he touted as a cancer cure. He set up clinics in 17 states around America before all were closed down by the FDA. Hoxsey made a rare documentary film in 1957 called You Don’t Have to Die, which detailed his cure and covered the patients he treated with it. There’s a more recent documentary titled Hoxsey: How Healing Becomes a Crime, which chronicles his battles with what the docomakers refer to as organized medicine. 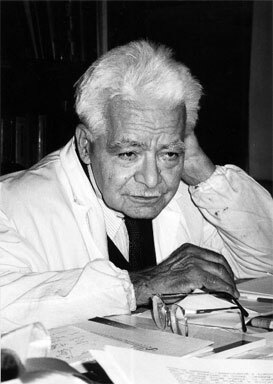 In the 1980’s, Italian medical doctor, chemist and pharmacologist Luigi di Bella (1912-2003) claimed to have developed a cure for cancer known as Di Bella Therapy. The formula was a combination of vitamins, drugs and hormones. Luigi di Bella at work. The American Cancer Society says on its website that numerous studies showed Di Bella Therapy “may have had a negative effect compared to the outcome for similar patients receiving standard treatment”. However, there are some alternative medical researchers who believe Di Bella therapy was a legitimate cancer cure that was permanently quashed by the medical establishment. Luigi di Bella himself consistently stated that pharmaceutical companies were conspiring against him. It’s common knowledge that cancer, along with cardiovascular diseases, diabetes and chronic lung diseases, is one of the biggest natural killers. Nearly two million Americans are diagnosed with cancer annually, according to some estimates, and as many as 20,000 cancer patients are reportedly dying worldwide every day. 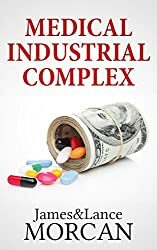 In a chapter titled “Finding (hiding) a cure for cancer,” we address this killer disease in our book MEDICAL INDUSTRIAL COMPLEX: The $ickness Industry, Big Pharma and Suppressed Cures, and we look at what mainstream medicine is doing about it and, more importantly, what alternative treatments are available. According to Mercola.com, which promotes itself as the world’s No.1 natural health site, “One person out of three will be hit with a cancer diagnosis at some time in their lives.” Subscribers are urged to understand that cancer is big business. 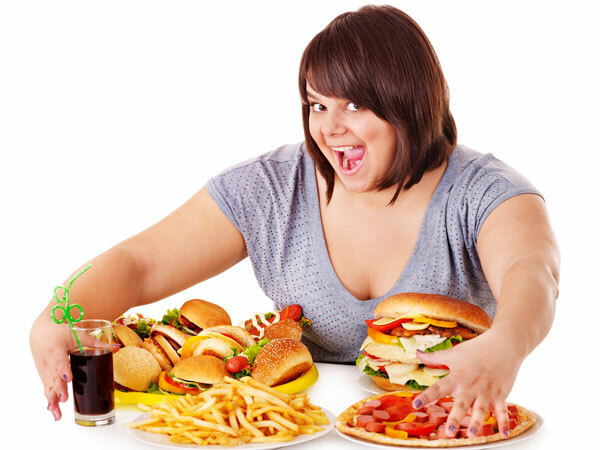 In an article dated August 3, 2013, Mercola.com states, “The cancer industry is spending virtually nothing of its multi-billion dollar resources on effective prevention strategies, such as dietary guidelines, exercise and obesity education. Instead, it pours its money into treating cancer, not preventing or curing it. Why would they shoot their cash cow? If they can keep the well-oiled Cancer Machine running, they will continue to make massive profits on chemotherapy drugs, radiotherapy, diagnostic procedures and surgeries. “The typical cancer patient spends $50,000 fighting the disease. Chemotherapy drugs are among the most expensive of all treatments, many ranging from $3,000 to $7,000 for a one-month supply”. There’s no doubt, in the last few decades hundreds of billions of dollars have been spent internationally on cancer research. In the US alone, since President Nixon launched his ‘War on Cancer’ program in 1971, tens of billions in government funding have been granted to cancer researchers. And when a cancer cure is finally found it will save millions of lives and will be the medical discovery of the era. However, there are theories out there which suggest there has already been a cure, or many cures, discovered for cancer. These popular theories suggest the Medical Industrial Complex have a huge financial incentive to suppress cures so they can continue to provide their own costly treatments for cancer patients. If true, that would be a callous and unforgiveable business model, unnecessarily costing countless lives. Of course, many if not most known (proclaimed) alternative cancer treatments are noticeably lacking in suitable testing methodology and well conducted clinical trials, and test results often haven’t demonstrated significant efficacy; nor have results been published, or published in appropriate publications at least. According to Wikipedia, “A 2006 systematic review of 214 articles covering 198 clinical trials of alternative cancer treatments concluded that almost none conducted dose-ranging studies, which are necessary to ensure that the patients are being given a useful amount of the treatment. These kinds of treatments appear and vanish frequently, and have throughout history”. The medical establishment has identified and branded as ineffective numerous alternative therapies to treat and prevent cancer. These include: homeopathy, naturopathy, herbalism, holistic medicine and aromatherapy. Similarly, many other treatments have been put down by the establishment. To name but a few, these include light therapy and other energy-based treatments, fasting and other diet-based treatments, cannabis and other plant-based treatments, colon cleansing and other physical procedures, and faith healing and other such spiritual measures. “The cancer industry world wide is estimated at a 200 billion dollar a year industry. There are many in various associated positions within that industry who would be without a job if that cash flow dried up suddenly with the news that there are cheaper, less harmful, and more efficacious remedies available. Big Pharmacy would virtually vanish.” –Paul Fassa. Article excerpt from Natural News, September 24, 2009. There’s no disputing that the alternative (cancer treatment) route is littered with examples of pseudo-science, snake oil salesmen, bogus cures and failures; nor is there any disputing that in recent decades medical science has made major inroads into treating and removing cancers. You only need to look at the advances made in chemotherapy and radiation therapy, and the refinement of surgical techniques, to understand that. However, officially at least, a cure for cancer still eludes Mankind and cancer sufferers continue to die by the millions every year. For that reason alone, mainstream medicine should not be so quick to dismiss claims of alternative treatments and cures. After all, there are many case studies that support the theory that there has already been a cure, or many cures, discovered for cancer. Even that respected American non-profit medical practice and research group the Mayo Clinic pays lip service at least to alternative cancer treatments. On its website, beneath the warning “Many alternative cancer treatments are unproved and some may even be dangerous,” the clinic lists “10 alternative cancer treatments that are generally safe” and “have shown some promise in helping people with cancer”. Hardly earth-shattering stuff. However, it’s a concession at least that there is a place within mainstream medicine – no matter how small – for alternative treatments in combating cancer. As the healthcare sector is so profitable, why would anyone believe major corruption could not flourish in this industry? We pose this question in our book MEDICAL INDUSTRIAL COMPLEX: The $ickness Industry, Big Pharma and Suppressed Cures. When considering this question, it’s important you have a grasp of the amounts of money involved in healthcare. Keep in mind total healthcare expenditures across the world in 2013 totaled $4.5 trillion while the global prescription drug market was worth an estimated $550 billion (annually) as long ago as 2006, according to TheMedica.com, the respected global healthcare marketplace site. These estimates are supported by Forbes, which puts America’s NHE (National Healthcare Expenditure) for 2012 at $3 trillion. (Interesting to see a Forbes.com report dated January 19, 2012, quotes one economist as saying, “We don’t have a debt problem in this country – we have a healthcare problem.”). Given the huge monies up for grabs in the healthcare sector, is it really that difficult to believe corruption flourishes within it? Also, why are so many so quick to doubt that certain cures, including cancer cures, have been suppressed because of pharmaceutical companies’ desire to continue profiting off the drugs they produce to manage long-term sicknesses? Anytime so much money is at stake, we cannot underestimate the lengths certain companies and groups will go to in their pursuit of profit. The alternative health site NaturalSociety.com has an intriguing post about “an ignored method of treating and preventing most diseases – so potent that it threatens the medical establishment’s tyrannical monopoly”. Called Ozone Therapy, the treatment was, according to the article, practiced in the US from the late 19th Century through the 1940’s. According to Educate-Yourself.org, “There are a number of alternative healing therapies that work so well and cost so little…that Organized Medicine, the Food & Drug Administration, and their overlords in the Pharmaceutical Industry (The Big Three) would rather the public not know about them. The reason is obvious: Alternative, non-toxic therapies represent a potential loss of billions of dollars to allopathic (drug) medicine and drug companies”. Referring to what he calls “forbidden cures,” the writer states, “At long last, however, the public’s consciousness seems to have finally reached a critical mass and is now beginning to seriously question the efficacy and appropriateness of using orthodox therapies and allopathic medicine in general”. The article continues, “The Big Three have collectively engaged in a medical conspiracy for the better part of 70 years to influence legislative bodies on both the state and federal level to create regulations that promote the use of drug medicine while simultaneously creating restrictive, controlling mechanisms…designed to limit and stifle the availability of non-drug, alternative modalities. The conspiracy to limit and eliminate competition from non-drug therapies began with the Flexner Report of 1910”. And under the heading ‘Natural Healing,’ the writer says, “The patient’s immune system and the immune system alone is responsible for healing and recovery from ill health. The use of drugs and vaccines represents an assault on the immune system. The Northstar Report at nstarzone.com, which makes the claim that “Modern medicine has been made into a god by a population of people who look to the doctors and pharmaceutical companies to save them,” lists natural cures it claims the medical establishment doesn’t want you to know about. These natural “cures” include: Vitamin B-17, or laetrile, which reportedly has had “amazing results” with cancer patients; ginger, which is supposedly “highly effective in preventing and curing” heart disease, cancer, arthritis, and a variety of other illnesses; and garlic, which is claimed to be “good for virtually any disease or infection”. And last, but not least, The Northstar Report recommends prayer, claiming “The most important aspect of healing is faith healing”. Given the state of healthcare worldwide and the dubious conduct of various sectors of the Medical Industrial Complex, prayer may be our best bet at the end of the day.